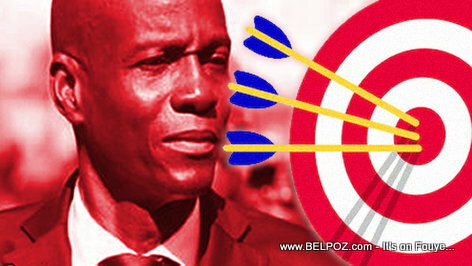 Due to the ongoing crisis in Haiti and a president Jovenel Moise who has proven himself incapable of handling the situation, since president Jovenel is indexed in the PetroCaribe investigative report (and a whole bunch of other reasons) the lawmakers of the oppostion aupport the demand of the people in the streets asking for the immediate resignation of the president. These lawmakers are not "egare non!" they want to the replacement of President Jovenel to be done "de manière institutionel," in other words they want to have a say in who will replace Jovenel Moise as Head of State. This note is signed by Senators Youri Latortue, Evalliere Beauplan, Ricard Pierre, Jean Marie Junior Salomon, Nenel Cassy, Antonio Cheramy and several Haitian Deputes.